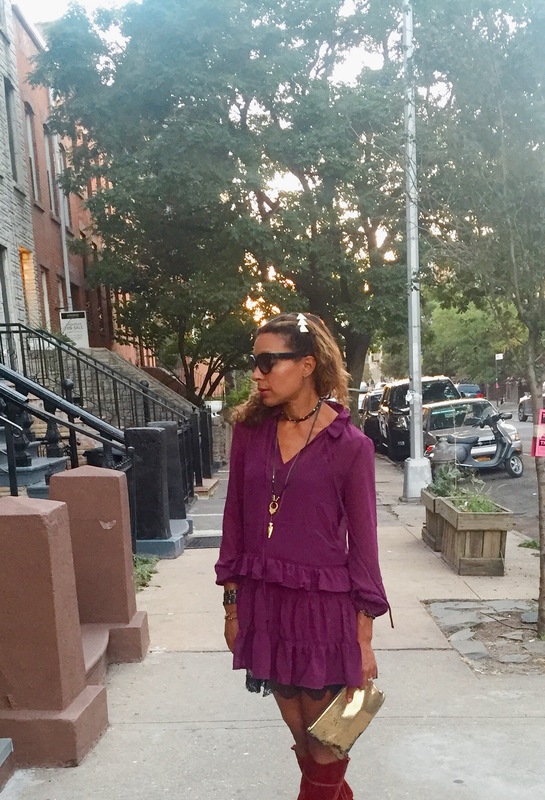 I was excited to find this purple wine-berry colored chiffon dress at Buffalo Exchange just as I was working on the “Bohemian Deluxe” trend for the blog. 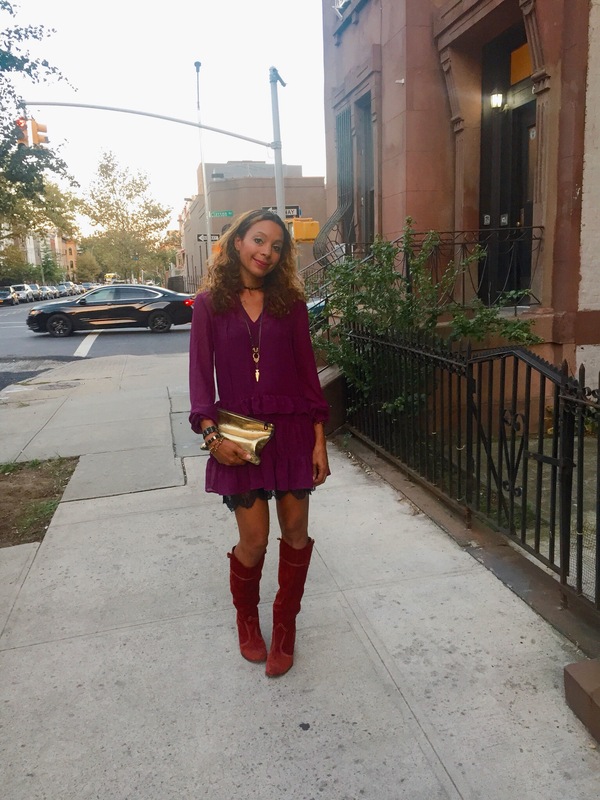 It just jumped out at me among all the dresses on the rack because of the gorgeous color, long sleeves & ruffle details that perfectly match the Bohemian Deluxe meets Jimi Hendrix inspired trend for FW16. It was even more of a score to find that it was just my size! 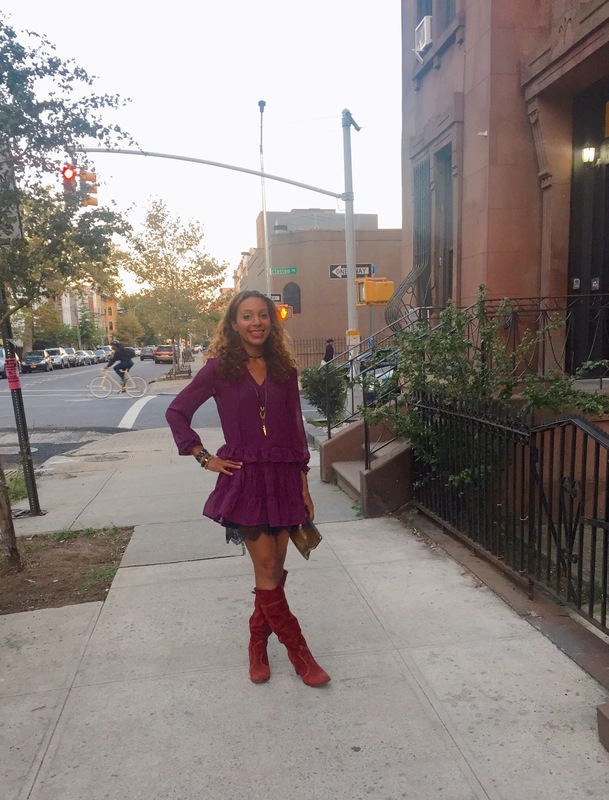 Gotta love the thrill of the hunt that is “vintage/ consignment” shopping……I love the dress because it’s a bit feminine and girly but not too too girly when paired with my vintage Marc Jacobs boots & favorite rock n roll bohemian Marisa Mason jewelry. 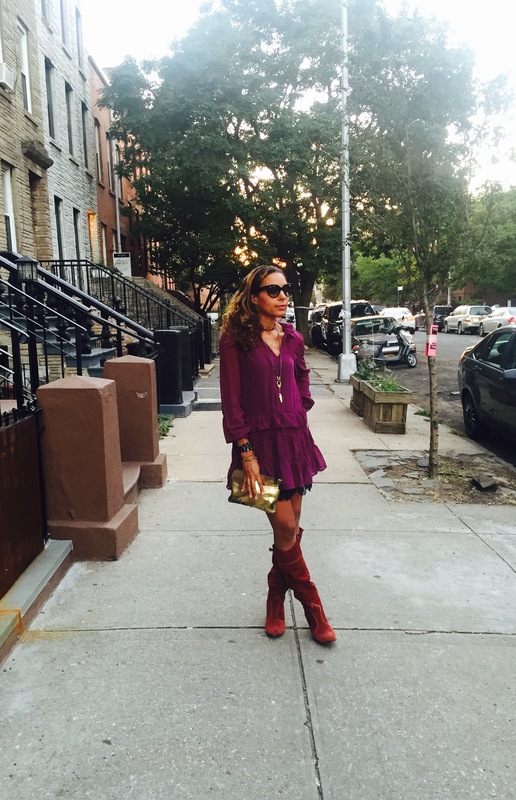 I always like the mix of something feminine with something a little bit edgier & cool and I love styling and reworking my favorite things already in my closet and giving them an update with something new (or vintage)…. Just because fashion trends keeps on changing doesn’t mean you have to let go of all your old favorites. Sometimes you just need a few new pieces to pair with your existing favorites to get excited about a new look….